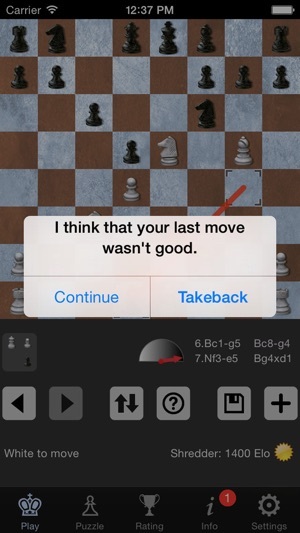 Shredder, the most successful chess program ever, is now also available for the iPhone. 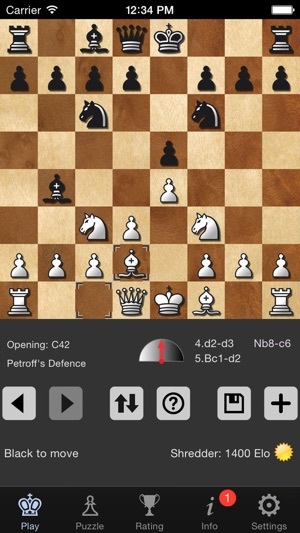 You can play against Shredder, analyze with him and solve chess puzzles. It offers the usual Shredder standard for your pocket. In addition to the outstanding playing strength of the 12 times computer chess world champion, Shredder is also able to mimic the play of a human chess player with any playing strength. He even deliberately makes typical human mistakes in those levels. 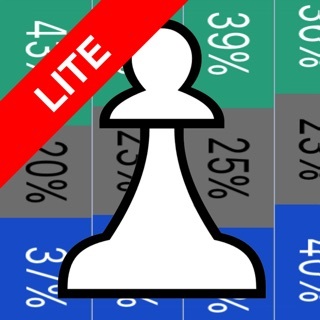 Solve 1000 built in chess puzzles. Shredder keeps track of your performance and offers advice if needed. You can adjust Shredder’s playing strength from beginner to master level. If you like, Shredder automatically adjusts his strength to yours. 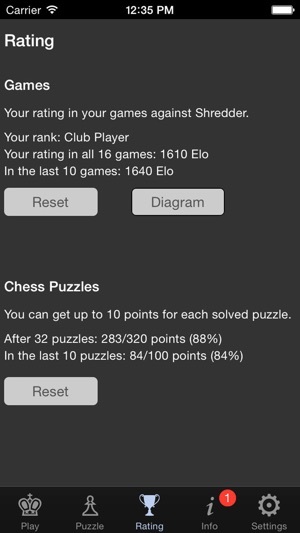 He even calculates an Elo rating for you. 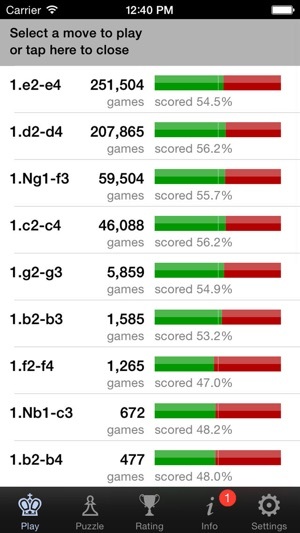 This is how the playing strength of chess players is typically measured. During the game a coach is watching your moves and warns you if you are about to make a mistake. 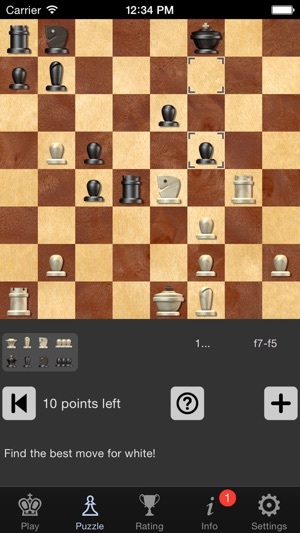 See how you are getting better and better the more games you play and the more chess puzzles you solve. Save 10 USD/EUR when buying Shredder or Deep Shredder (Mac, Windows or Linux). You will find your coupon code in the program info section. 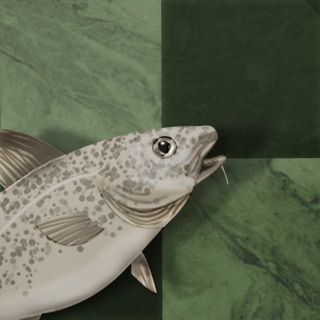 Also check out our highly refined version for iPad. 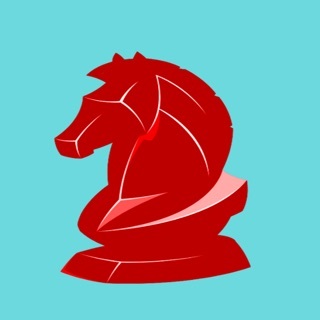 Shredder is by FAR the best chess app I’ve ever used. Using it in “aggressive mode” is how I like to use it, because it makes every game FUN! among all the best living players I’ve ever gone up against — even the most accommodating, patient, informative, and generous of opponents — none has taught me as much in such an amazingly short time as has Shredder. I’ve enthusiastically recommended Shredder to every chess lover I’ve ever known, and each of them has wound up doing exactly the same. I’m getting sick and tired of this app. I’m a class A player (1800+) and like to play on the app on the rides home. No matter what setting I choose I get demolished at 1800. At the 1700 its too easy. I play live over the board tournaments all the time and rarely (never) do you see 1800 players attack wildly before they even develop. The app gets away with it because it has perfect calculation within a number of plays. If I wanted to play a harder level I would choose 2100+ in the settings. Please calibrate this app. If I wanted to play against a titled caliber player I would not choose the 1800 setting at normal. Other than that the app works fine. 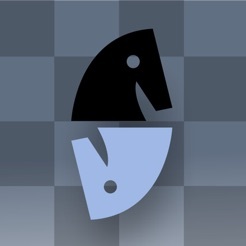 This is a fantastic chess app - probably the best on the App Store. The biggest problem: I'm just really disappointed that you can play only one game at a time. You should be able to play multiple games you can toggle back and forth between. Right now, it's only one game at a time... Which makes it very slow for playing different positions or openings simultaneously. So that makes it a bit annoying to use as a self-teaching app.